In retrospect, Sarah Yoseph wasn’t ready for college when she graduated from high school. She found the space and the freedom at Santa Monica College to explore who she is and what she wanted to do with her life. Yoseph describes those years as a “blur,” when she focused mostly on playing lacrosse and having fun. She changed her major from accounting to computer science to engineering. Ultimately, it just clicked. She understood that what she really loved wasn’t those subjects, it was the math. She also found a passion for teaching, after teaching advanced algebra and calculus to students over a year at Santa Monica College. She switched her major to mathematics, transferred to Loyola Marymount University, and took off. Now, the 23-year-old senior is closing in on her mathematics degree – Spring 2016 – and preparing applications for graduate school. She’s set her mind on earning a doctorate in theoretical mathematics and then pursuing teaching at the community college level. “They need more teachers,” Yoseph says. At LMU, Yoseph has gained experience in different areas of mathematical research as well, working on an ongoing exploration of knot theory with Professor Patrick Shanahan. And this summer, she joined undergraduates from across the country in looking at unanswered questions regarding geometric combinatorics through the Mathematical Sciences Research Institute Undergraduate Program at UC Berkeley. Yoseph grew up in Inglewood, just a few miles from LMU, where she lives with her mother. The summer at Berkeley was her first time on her own, and she’s hoping to stay fairly close to home by attending graduate school at a California University. 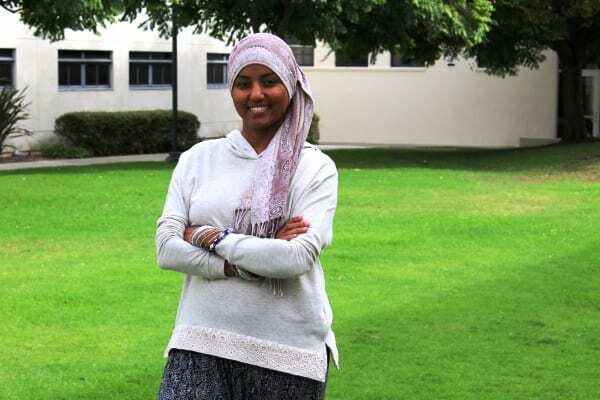 What she’s learned throughout her life as a woman of color – her family is from Ethiopia – was reinforced during her experiences in the program for underrepresented groups in mathematics this past summer at Berkeley.